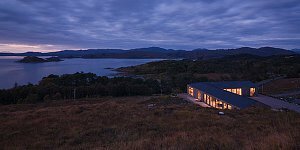 New 2500 sq ft L-shaped coastal home positioned on a hillside plateau above Roshven on Moidart. 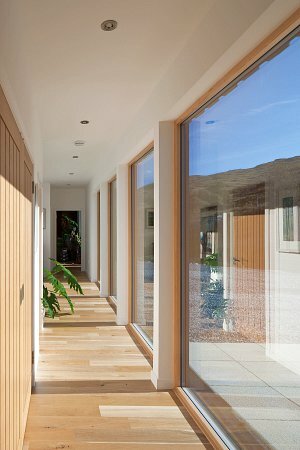 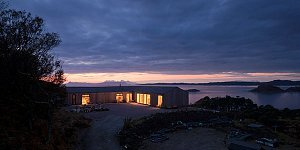 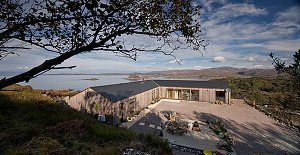 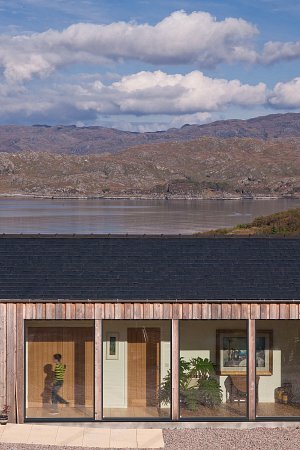 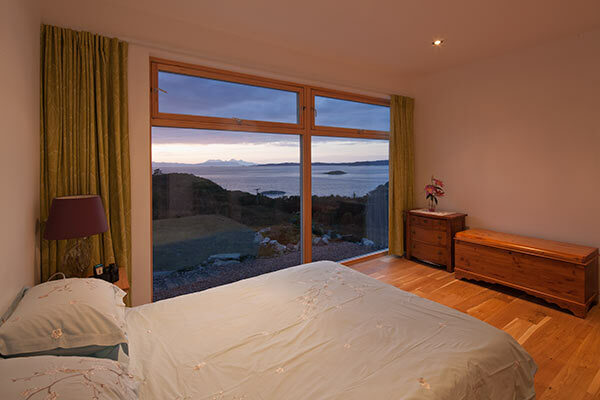 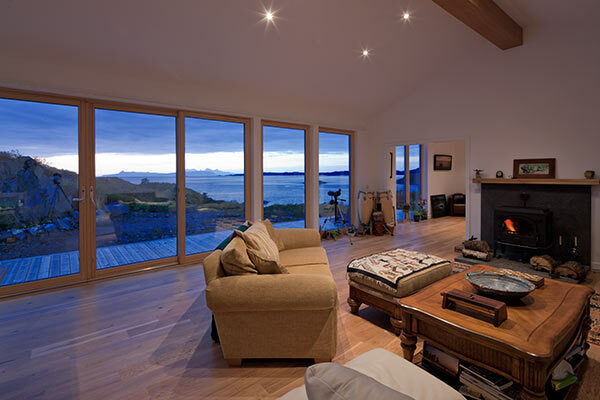 The one-storey house consists of a sleeping wing with open views across Loch Ailort and a living-wing with spectacular sea views towards the Isles of Eigg and Rhum. 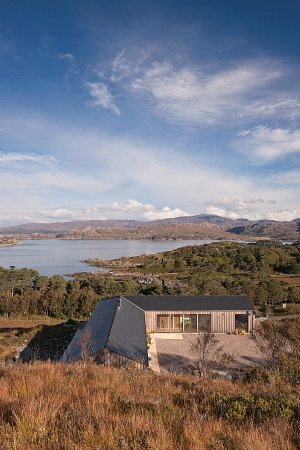 The house is cut into the hillside, exposing the dramatic rocky escarpment. 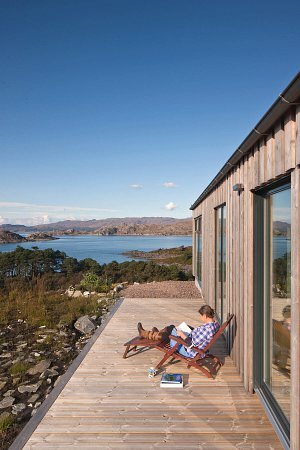 The majesty of the open sea views contrast with the more intimate, sheltered courtyard area.